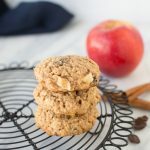 Gluten Free Apple Cinnamon Oatmeal Cookies that are moist, flavorful and baked to perfection. These delicious fall cookies are made with freshly chopped Fuji apples, raisins and warming spices. They are sweetened with a blend of Lakanto Monkfruit Sweetener and coconut sugar making these a healthy low sugar treat the whole family will love! Cream together butter, coconut sugar and Lakanto on high speed. On low speed, add egg and vanilla and beat. 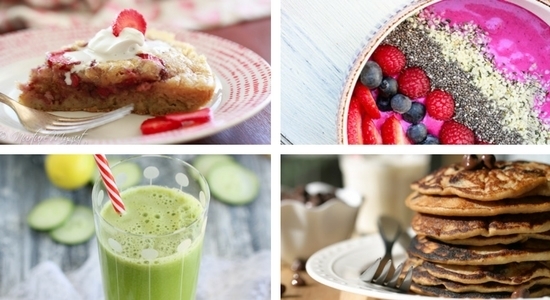 In a separate bowl, whisk together baking powder, cinnamon and gluten free flour. Slowly add to wet mixture. Add oats, raisins and apples. Cover a large baking pan with parchment paper. Scoop dough with a small cookie scoop, roll dough into balls and gently press onto parchment paper. Space cookies 2 inches away from each other. Bake at 350 degrees for 10-12 minutes. Allow to cool before serving.